BOUCHERVILLE, QC – The Quebec Major Junior Hockey League, in association with the Canadian Hockey League, the Sherbrooke Phoenix and the Drummondville Voltigeurs, announced today the addition of two more QMJHL players that will represent Russia during the 2018 CIBC Canada Russia Series. 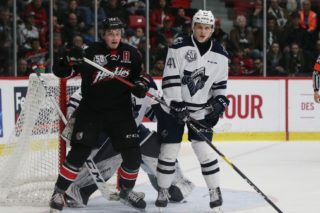 Forwards Dmitry Zavgorodniy and Alexander Khovanov have been selected to represent the League as part of the Russian roster that will take on the QMJHL squad next month. 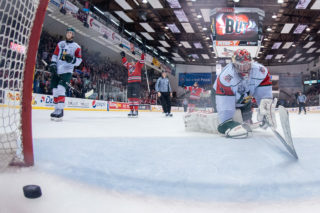 They will be joining two other Q players on the Russian squad in Ivan Chekhovich of the Baie-Comeau Drakkar and Pavel Koltygin of the Drummondville Voltigeurs. Zavgorodniy, a native of Omsk in Russia, is currently in his second year with the Rimouski Océanic. A 7th round pick of the Calgary Flames at the 2018 NHL Entry Draft, the 18-year-old forward has enjoyed a successful start to the present campaign by picking up 26 points in 17 games. In his QMJHL career, the Russian has been scoring at nearly a point-per-game pace thanks to his 73 points in 79 games played. As for Khovanov, a native of Saratov, Russia he will also be taking part in the CIBC Canada-Russia Series for the first time. The 3rd round pick of the Minnesota Wild at the 2018 NHL Draft is playing his second season with the Moncton Wildcats and in the QMJHL. Up to this point this season the 18-year-old has picked up 19 points in 15 games played. 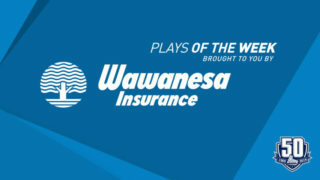 Because he was battling Hepatitis A at the time, the young forward had to wait before making his QMJHL start last season but he still ended the season with 28 points in 29 games. 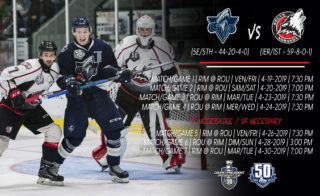 The Phoenix will play host to game five of the series, which will be held at the Palais des Sports Léopold-Drolet on Tuesday, November 13, while the Voltigeurs will host the final game of the series, which will be presented at the Centre Marcel-Dionne on Thursday, November 15. All six games will be broadcasted nationally on both Sportsnet and TVA Sports. 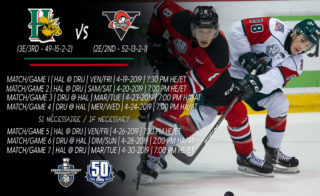 Sherbrooke will play host to game five of the series, which will be held at the Palais des Sports Léopold-Drolet on Tuesday, November 13, while Drummondville will host the final game of the series, which will be presented at the Centre Marcel-Dionne on Thursday, November 15. 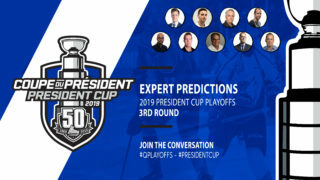 All six games will be broadcasted nationally on both Sportsnet and TVA Sports.